Watching participants race on these giant trikes is hilarious. Our sturdy Giant trikes offer large comfortable seats and handle up to 250 pounds. They are safe and fun for all ages and are guaranteed to create laughter for everyone at your event. If they can reach the pedal then they are ready to race. 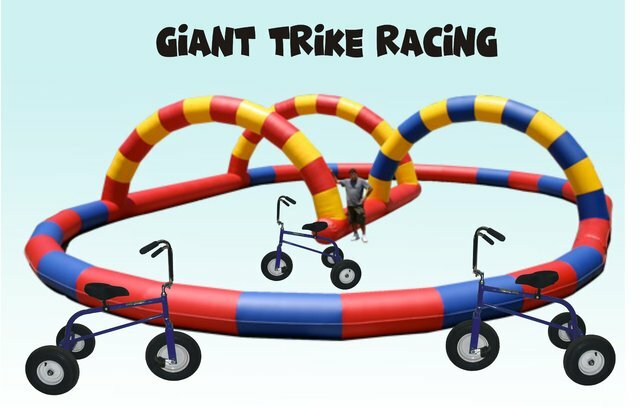 Three participants choose their Giant Trikes and race through the giant race track as fast as you can, to beat your competitors to the checkered flag.